The most complete, and completely satisfying, musical I've come across in a long time. Winnie Holzman's script keeps the gags coming as it cleverly subverts the film that spawned it. Packed with spectacular coups de theatre and magical effects. Visually stunning, Wicked boasts a soaring score from Stephen Schwartz (Godspell, Pippin), Tony Award-winning sets and costumes and some of the most gravity-defying moments on the Great White Way. Is Wicked Good for Kids? 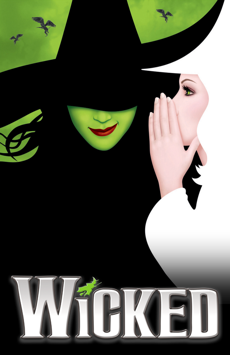 Like The Wizard of Oz, Wicked is the definition of family-friendly. But like the classic 1939 movie, younger children may find it too long or be frightened by the show's flying monkeys, allusions to offstage violence and death of a character. Most children over eight, however, will be delighted by the world of Wicked.